Discover a history of innovation and quality in fruit processing. 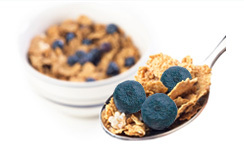 Taste the Difference: all natural, nutrient filled and flavourful dehydrated Blueberry Puffs™. 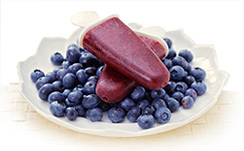 CAL-SAN Enterprises is a Canadian food processor and international wholesale distributor of British Columbia grown blueberry and cranberry products. 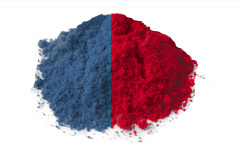 Our proprietary technology produces nutrient packed dehydrated whole and powdered blueberries and cranberries for use by leading food manufacturers. We invite you to experience the CAL-SAN difference. CAL-SAN is the first company worldwide to use the patented vacuum pressure radiant energy dehydration technology to process fresh blueberries and cranberries into new fruit products for use by the world's food manufacturers. With its exclusive licence rights to the patented technology, CAL-SAN will be the dominant producer of new products from blueberries and cranberries.